In this review we explain why you should not invest money with XRPconnect. 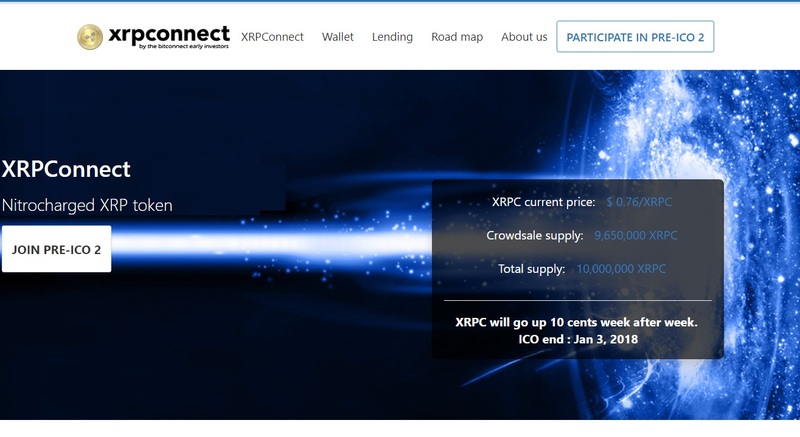 XRPconnect is a cryptocurrency project that is supposed to make money to its investors in several ways. The investor has to buy the XRPC token and then he can use it in the lending program, coins staking or trading. He can also make money in the affiliate program. How much? 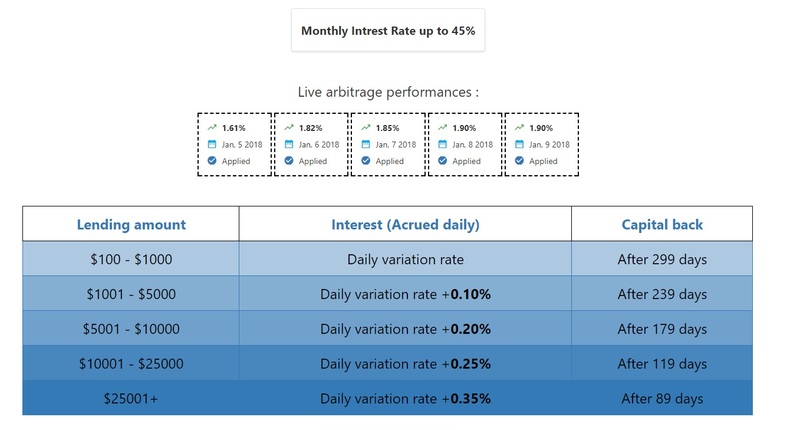 The lending program will allegedly generate up to 45% per month, which can be increased with higher deposits thanks to an interest rate that can reach 0.35% daily. And this can be further increased via the referral program, which offers 20% through five levels. Staking your coins can generate 10% per month. XRPconnect is just a copy of the Bitconnect and Ethconnect Ponzi schemes that we have already reviewed. It works in the same exact way. You have to buy the token in order to be able to participate in the program, which will drive its price up temporarily. So, people who run XRPconnect will get money in two ways, by selling their own tokens on exchanges and by selling the tokens to you. This will enable them to pay the profits for some time, like in a classic Ponzi scheme. But one day there won’t be enough money from new investors and the system will collapse, like every Ponzi scheme does. 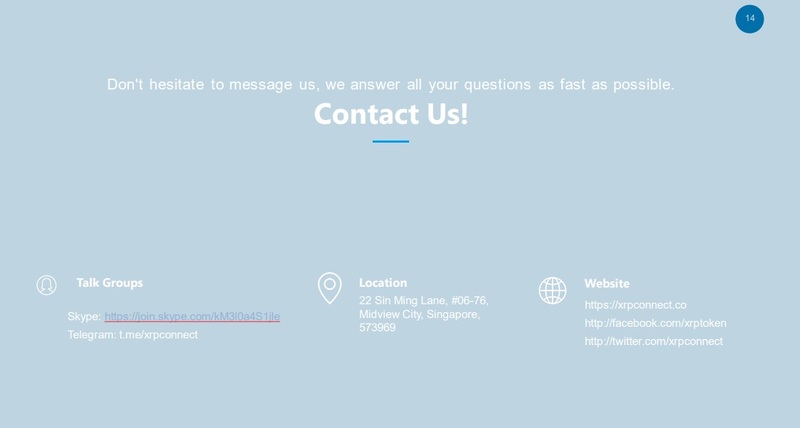 XRPconnect claims to be based in Singapore. But there is no company of this name registered in Singapore. And because XRPconnect is providing investment services, it has to be regulated. As it has no licence whatsoever, it is not regulated and it is illegal in most countries. In fact, we have every reason to doubt that XRPconnect is based in Singapore. Also, you won’t find a single name of a person. Why do people who created this program hide and remain anonymous? XRPconnect is a cloned and anonymous Ponzi scam scheme that is designed to fail. Stay away from it! If you want to make money with cryptocurrencies, do your own research and invest in real projects with real utility. You can try crypto trading on a free demo account with a regulated broker. And don’t forget that in trading you can make, but also lose money.